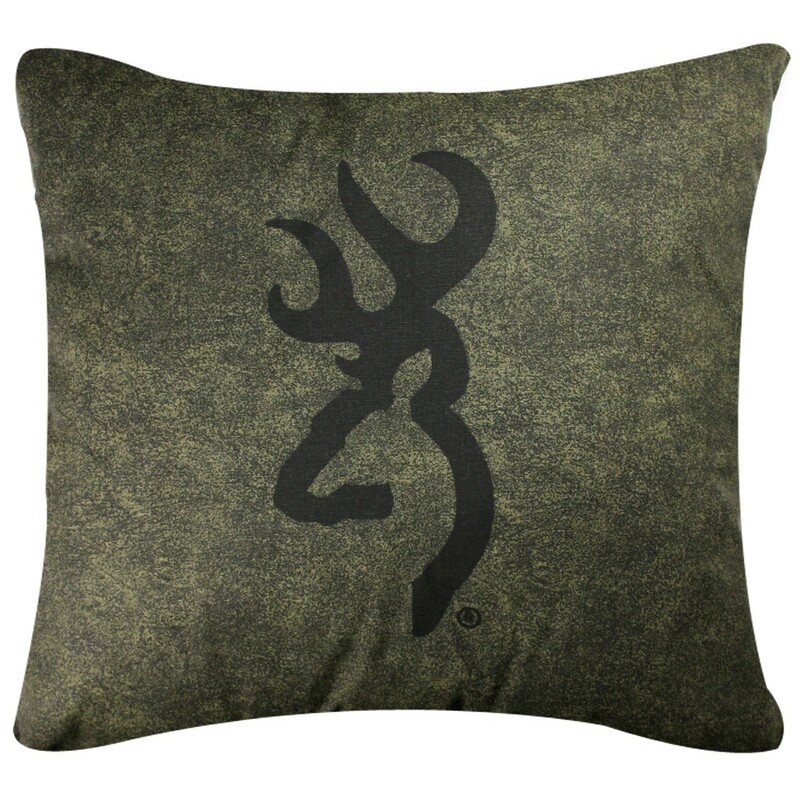 This rustic accent pillow features the Browning logo in black set on a dark green background. This rustic accent pillow features the Browning logo in black set on a dark green background and measures 20" x 20". Made in the USA.